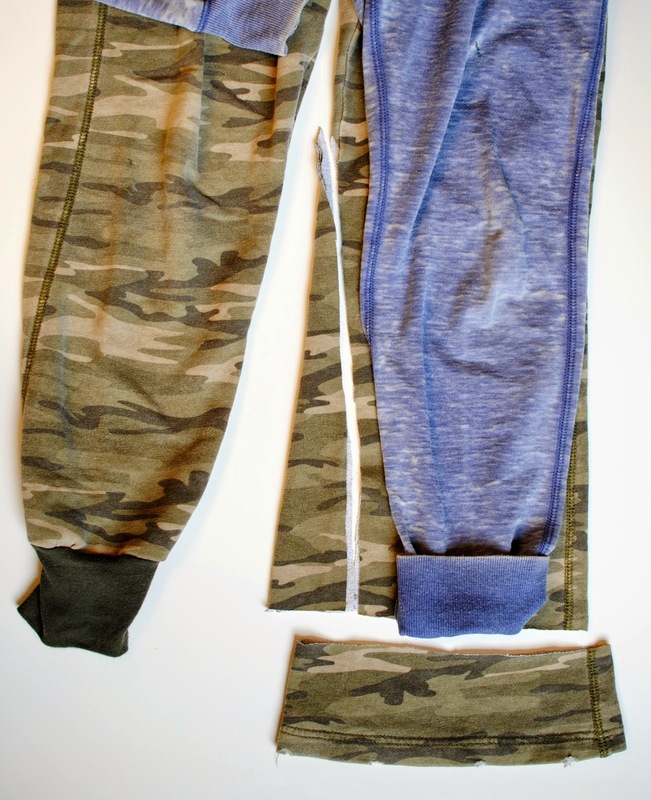 This is a great way to transform a pair of sweats that may be a bit short or unflattering into track pants. I personally find this style more flattering with running shoes as well…which I wear a lot. 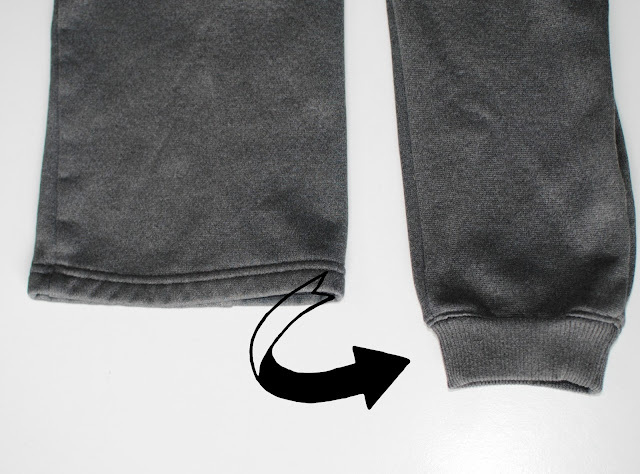 You can also do this with sweatpants your littles have started to out grow by adding a couple of inches in length. These make for great stylish play pants and they don't get dirty and ripped at the hem. Step 1: Use a pair of pants if you have them as a pattern, otherwise free hand it. Make sure to leave about an inch for seam allowance. I cut about 3 inches off the bottom and cut only from the inside because I didn't want to mess with the outer seam. 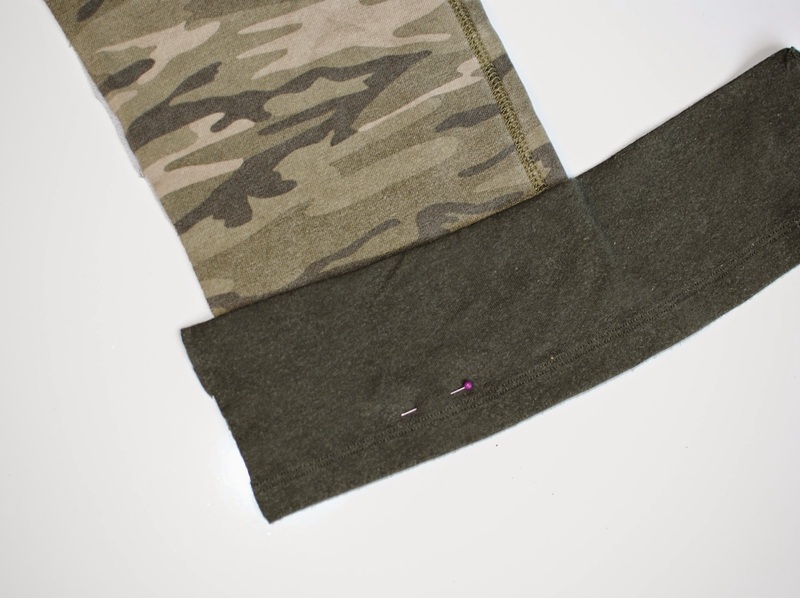 If you're trying to lengthen the pants like your kids, then don't cut and sew the band right on the hem. Use some ribbing for the bottom. 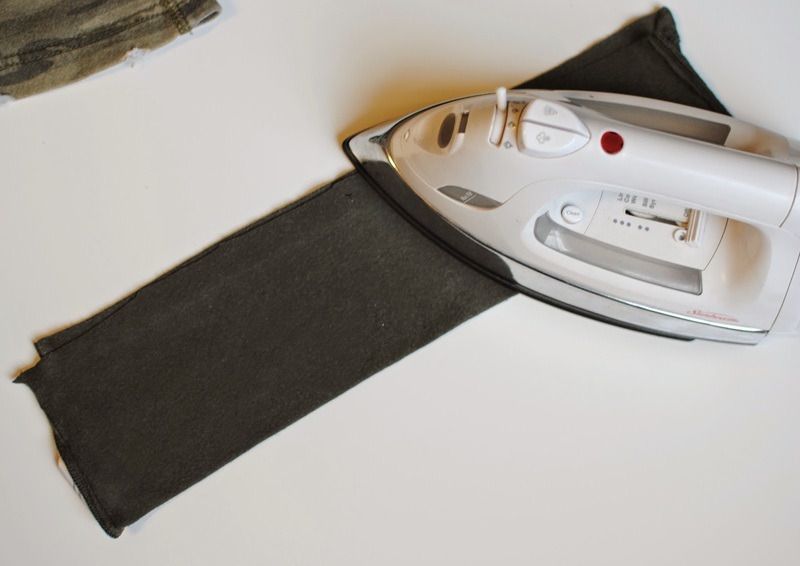 I folded mine in half and ironed it flat. Mine was about 6 inches, so folded in half 3 inches. The width was enough to fit around my calf plus 1 inch for seam allowance. With right sides together sew around the bottom of the hem or cut edge. Leave about 1/2 inch over as shown in the picture to sew the leg seam up. As you sew make sure to pull the elastic ribbing so it fits all the way through. If you run out of room just sew some little pleats along the way. The folded edge should be the bottom of the pants. Last sew the inner seam up including the ribbing. I start from the ribbing and gradually met with the original seam. Cut any excess seam allowance. Great way to add length to pants that are just a tad short. you're so very clever. I love this idea, thanks for sharing. 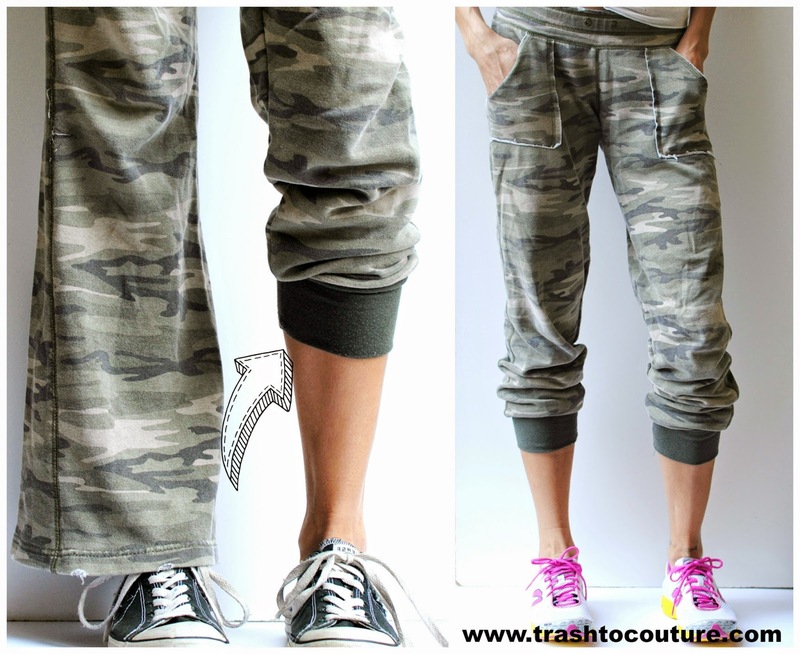 I have so many old sweats I'm going to do this with. Love this idea...thanks for the tutorial! awesome idea... especially like that you side noted "for the littles" ;) thanks! This is amazing. Can't wait to try!! What is the bottom part? Hem of a t-shirt? Scrap fabric? This looks awesome! Like what I always say, "Why buy it when you can do it?" Imma make one of this. 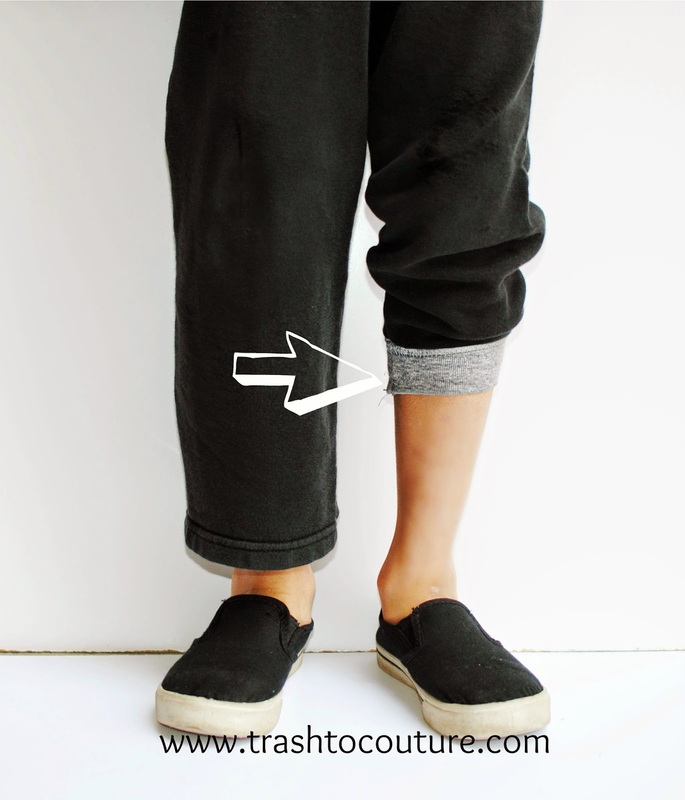 Great refashioning for old baggy sweats! Dont know how to finish the upper leg part so that it doesn't pucker. Very resourceful! Great idea for old sweats. Thanks for the tutorial. apkeditor can choose the altering stage for APK you need to run with.